This message is part four of the sermon series on the Whole Armor of God. Thus far we have dealt with having your loins girt about with truth. That is the foundation of everything, and we have interpreted the word truth as standing for the whole truth concerning salvation, the great message of salvation which is, of course, the peculiar message of the Bible. But next we must proceed to put on the various parts of the armour, and here we come to the piece which the Apostle describes as the “breastplate of righteousness”. "Finally, my brethren, be strong in the Lord and in the power of His might. Put on the whole armour of God, that you may be able to stand against the wiles of the devil. For we do not wrestle against flesh and blood, but against principalities, against powers, against the rulers of the darkness of this age, against spiritual hosts of wickedness in the heavenly places. Therefore take up the whole armour of God, that you may be able to withstand in the evil day, and having done all, to stand. Stand therefore, having girded your waist with truth, having put on the breastplate of righteousness, and having shod your feet with the preparation of the gospel of peace; above all, taking the shield of faith with which you will be able to quench all the fiery darts of the wicked one. And take the helmet of salvation, and the sword of the Spirit, which is the word of God; praying always with all prayer and supplication in the Spirit, being watchful to this end with all perseverance and supplication for all the saints"
There is a world of difference between “putting on the whole armour” and then “putting on the parts”. We start by putting on the whole truth – our acceptance and our understanding of the whole way of salvation. But having put that on, we are taught by Paul that it is equally important for us to be clear about the particular aspects and applications. The Apostle is dealing with something purely spiritual, and yet he is talking about parts of the human body and what we put on- material things that we put on different parts. It is a very good picture, but we must remember that he is interested in the spiritual aspect. For instance, we have been talking about the loins. The Apostle is not interested in our physical loins, but the loins of our mind. “Gird up the loins of your mind” as Peter says in 1 Peter 1:13. I believe it is the same idea we now deal with the breastplate. In 1 Thessalonians 5:8 – the Apostle says “But let us, who are of the day, be sober, putting on the breastplate of faith and love” In the passage we are considering it is the breastplate of righteousness. The Apostle is concerned that we should realize the importance of these different aspects of our spiritual warfare, and realize that God has made a special provision for each particular portion as well as for the whole. 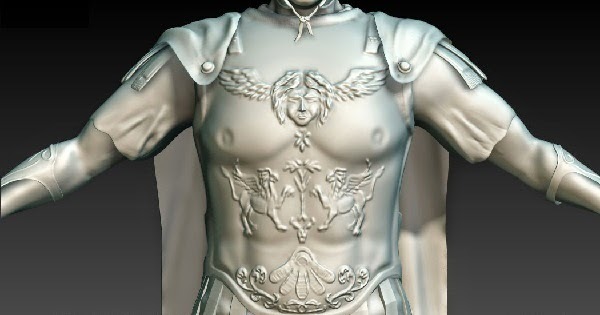 What does the breastplate protect? No doubt, the breastplate Paul had in mind is that which the Roman soldier wore in those ancient times. Paul may have been chained to soldiers when he dictated this epistle. The breastplate generally extended from the base of the neck to the upper part of the thighs, so it covered what we would now call the thorax and abdomen. The trunk which this armour covers is no doubt, an important part of the body. First and foremost, of course, there is the heart; then after that the lungs. Both organs are essential and vital to existence, not to say of true living. Then we think of all the other organs in the abdominal cavity. It appears that the ancient writers placed so much emphasis on these organs which we do not place today. In the Psalms we read of the reins which mean the kidneys. In Jeremiah we read “my bowels, my bowels” and we find a similar usage in Paul’s Epistle to the Philippians 2:1 where he says: “If there be therefore, any consolation in Christ, if any comfort of love, if any fellowship of the Spirit, if any bowels and mercies” they believed that these various organs were the seat of the affections, and they attached significance to practically all of them. This idea has in a sense persisted. A man speaks of being liverish – mood which arises from the condition of the liver. We also talk of ‘venting our spleen’. The ancients were aware, when they had various feelings and sensations that there was some kind of local reference, so they deduced that the cause of a particular trouble was in a particular local organ. It does not matter whether they were right or wrong; the important thing is to know that that was how they viewed it. So the Apostle here, when he tells us to put on the breastplate of righteousness is concerned that in this conflict, this wrestling that we are engaged in with the world, and the flesh and the devil, there should be no part we should be more careful about in regard to protection than that where the feelings and the affections are controlled. And not only the feelings and the affections, but the conscience also, and the desires and the will. What of the conscience? One of the greatest difficulties in life is for us is to live with our conscience. We cannot get rid of it; it is there and always speaking. And the devil knows this, and he is ready, as we shall see, to come and to attack us in the realm of conscience. There are many who are held captive by the devil at this point. They live laborious days very largely because, the devil confuses their consciences; and they do not know how to deal with him. Somehow they have not put on the breastplate of righteousness as they should have done. Then there are the desires and the will. There is nothing wrong with the desires as such. The desires are good in and of themselves; they are a part of life, a part of our human nature and constitution. But what the devil does is to come and to create “inordinate desires”; he inflames the desires. Through these inflamed desires, the will is affected; hence the need for us to protect this part of our body where these factors are centred. But what is the righteousness that is here referred to? There are some who claim that what is meant here by “righteousness” is “moral rectitude”. You will find The New English Bible translates it as “integrity”- we are to be sure of our personal integrity; we must be men of moral rectitude, we must be just and righteous, and good people. Such teachers tell us that we stand no hope or chance in fighting the devil and all his emissaries unless we are honest persons, unless we have an inherent integrity of personality. It is essential, they say, that we should not be guilty of hypocrisy, that we are not two persons at one and the same time, and that there is no lie at the centre of our life. We cannot possibly accept integrity as the right and the adequate interpretation here. Obviously, we do not reject it because we are opposed to integrity; integrity is essential everywhere. You cannot hope to do anything without it, but it is of very little value when we face the devil. Man’s integrity at its best is but as wax before the devil. If you imagine that by relying on your own inherent goodness and righteousness and moral rectitude, you can withstand the wiles of the devil, you are merely saying how ignorant you are of these matters. Biographies of some of the greatest saints of the Church show that the more saintly they are, the less confident they are about their integrity, their own goodness and their moral rectitude. Most of the greatest servants of God have felt themselves most acutely, at the end of their lives, to have been unprofitable servants and to have done nothing. Integrity is not a breastplate that is adequate to meet the fiery darts and all the other instruments and implements the devil uses against us. Integrity is good, but natural integrity and goodness is as nothing when confronted by the guile and the wiles and the subtlety of the enemy who is standing opposed to us. He can bring us into utter condemnation if we rely upon our own goodness. It is not armour provided by God, and we are concerned about the whole armour of God. In defining exactly what this means we shall look at two words – imputed and imparted righteousness. Ø Imputed Righteousness is the whole foundation of our standing as Christians. This means the same as justification by faith. This is the righteousness to put on. It has two parts. Because we cannot attain to God’s standard of righteousness God sent His only Son into this world, in order that He might be able to give us His own righteousness. He came, the spotless, sinless Son of God, and He rendered a perfect obedience to God’s law, obeyed Him in every jot of the law. He lived a perfectly righteous life. But God made Him responsible for our sins; He bore them in His own body and was crucified for them. “God laid on Him the iniquity of us all”. “God had made Him to be sin for us who knew no sin” In other words, God took our sins and imputed them on His Son, put them to His account. That leaves me, as it were, with my sins taken away, but that is not enough. Before I can stand in the presence of God, I must be positively holy.. I must be positively righteous. God is righteous, just and holy. That brings us to the second part of this imputation. As I believe in God’s Son, and His work for me, He imputes His righteousness to me. So as I stand in the presence of God, God does not see me; He sees the righteousness of His Son covering me. Paul says this is what I now rejoice in. “I count all things but loss for the excellence of the knowledge of Christ Jesus my Lord; for whom I have suffered the loss of all things, and do count them but dung, that I may win Christ. And be found in Him, not having my own righteousness, which is of the law, but that which is through the faith of Christ, the righteousness which is of God by faith” (Philippians 3:8-9). That is why he could write to the Romans in 8:1 “There is therefore now no condemnation to them which are in Christ Jesus” – The law has nothing to say against me because I am covered by this perfect, spotless righteousness of the Son of God Himself, and have on the breastplate of righteousness. Ø Imparted Righteousness – The imputed righteousness makes me a Christian, but God does not stop at that, He now begins to work in me the righteousness of His own Son. He imparts it to me; He makes it a part of me. This happens of necessity as a result of the rebirth, regeneration, and the new life. Righteousness is not only put upon me as a cloak and a covering, but also infused into me. Paul described this to the Philippian Church in the following terms: “Wherefore, my beloved, as you have always obeyed, not as in my presence only, but now much more in my absence, work out your own salvation with fear and trembling. For it is God which works in you both to will and to do of His good pleasure” (Philippians 2:12-13). We are to grow in grace, and in the knowledge of the Lord. The devil does not only attack us concerning our justification, he also attacks us in the realm of desire and of will, in the realm of feelings. And the only way to deal with him at these sensitive points is to put on the breastplate of righteousness. Remember the points include the heart, the conscience, the desire and the will. The battle is raging on constantly. The breastplate of righteousness helps us in the first place by giving us a general sense of confidence, and this is always essential in warfare. In a sense, therefore the breastplate of righteousness is the assurance of salvation – a realization of our whole standing and position in Christ. Ezra expressed it in a very profound language: “The joy of the Lord is your strength” (Nehemiah 8:10) without the joy of the Lord we are very weak. The joy of the Lord is your strength and this is the strength we need. You can only get the joy of the Lord as you appropriate the truth concerning “the righteousness of God which is by faith”. In other words, it means the confidence which arises from the knowledge that we are the children of God. It is true of all Christians. If we stand on anything but Christ Himself and His righteousness, we shall find that it is sinking sand. 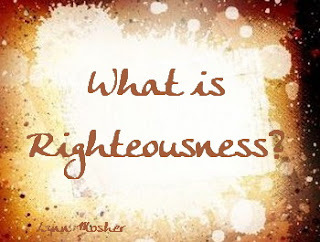 Are you relying on your own righteousness? Or on the righteousness of God which is by faith in Jesus Christ? Do you know the grounds of your standing at this moment? Have you got this Solid Rock beneath your feet? Are you relying utterly upon the Son of God and His perfect work on your behalf? If not, you have not got the breastplate of righteousness, and that means that you are already defeated by the devil. This is the only righteousness that avails not only when we go to God in prayer, but when we are confronted by the wiles of the devil, and as we wrestle against the principalities and powers, the rulers of the darkness of this world, the spiritual wickedness in high places.